One thing that is fast becoming a must-do this month is visiting the pumpkin patch for a photo shoot. The possibilities for some of the best staged photos are endless… big pumpkin, tiny baby… tiny baby, holding tiny pumpkin… This was never much of a thing for me growing up but since visiting a pumpkin patch with my family this year, I’m happy to add this to my growing set of family traditions. 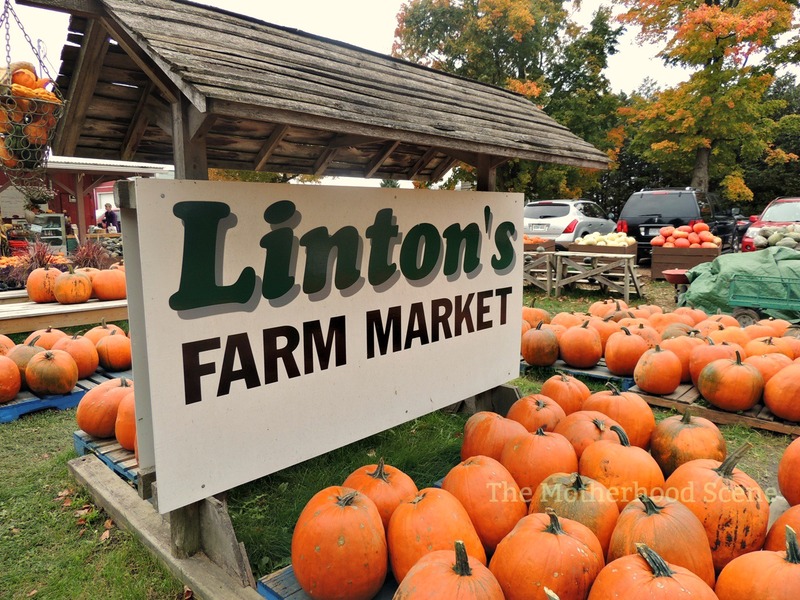 One of the higher rated pumpkin patches in the east end of Durham is Linton’s Farm Market. Access to the pumpkin patch is free. What I liked about this farm is that you can also wander through the small petting zoo with goats, sheep and chickens before you make your way over to the pumpkin patch to take some photos. There is also a kid’s play area available with a sandpit, play equipment and access to the pumpkin cannon. This section is worthwhile if you’re bringing along kids that can run around, otherwise I wouldn’t recommend paying the $2 admission for entry to this area. For you – and anyone you bring along – there is a large farm market to shop, which includes honey, meats, preserves, apples, beets, garlic, brussels sprouts, carrots and farm decorations (think decorative wheat). Linton’s Farm Market is located at 571 Raglan Road East, Oshawa. Opening hours vary, and their website recommends calling ahead. As a side note – I visited around lunchtime on a weekend and that seemed to be a good time. Cost: Visiting the pumpkin patch is free. If you’re interested in bringing home a pumpkin from your visit, the pumpkins in the picture above were priced at $8 each or 3 for $20.